Ways To Build Your Business - Page 2 of 4 - A site that strives to cover every tool and idea imaginable to show you the best ways to build your business and rake in some serious profits! If only there was more time to spend on making money, rather than marketing the business. Sound familiar? The bottom line in business is that in order to make more money, either you need to improve conversions for your products or increase the amount of people who are exposed to your deal. Increasing exposure is easy, so today we’ll focus on that. When you’re building your business online, often your best measure of how large your audience really is comes from how many subscribers you have on your mailing list. So, building that mailing list becomes a top priority. Here are some interesting ways to build your mailing list numbers up quickly. Want to be able to get mailing list signups with a quick click on a Tweet? Well, that’s possible. When you create Twitter cards with an integration to your mailing list provider, it only takes a couple of quick button-presses on a Tweet for a Twitter user to sign up to your list using their Twitter credentials. Mailchimp offers a comprehensive guide to using Twitter cards to collect email addresses for your mailing list. It only takes about 10 minutes to set this up and then you can pin the Tweet to the top of your timeline in order to get as many sign-ups as possible. If you also create a shortlink for your Twitter card using Bit.ly or some other URL shortener you can quickly share it with people you’re chatting to on Twitter. People are sociable by nature, so it stands to reason that if you build a community the participants will become more involved and invested in your message and your associated products. This is not a quick-fix solution, as community building takes time, but it will be worth it in the long run. This might involve starting a Twitter chat, building a forum, or maybe just branding a particular message for your tribe to follow and take to heart. However you achieve this, if you can make that community cohesive then they will want to be a part of your mailing list and they’ll look forward to your messages. Each engaged member is worth more than hundreds of disengaged readers, so you’ll soon see why this works so well. Consider the actual content you send out in your mailing list. Is it a personal message from you? Is it something they would look forward to and share with friends? If your mailing list content isn’t currently shareable, consider curating more content to add to your list. It’s possible that with a wider variety of content your readers will want to share it with their friends. Now, is it actually shareable? Have you enabled “Share This” buttons for all the popular social networks? Do you encourage your readers to forward the email on to friends? Make sure all of this is in place also, so that it’s as easy as possible for your readers. I’ve personally used all three of these list-building tactics in the process of building my own mailing list. I started a chat community of remote workers, freelancers and entrepreneurs to complement my blog and job board. People can sign up for an invite to the group via Twitter cards on my Twitter account (@AngelaAlcorn) or by using a sign-up form. All of my members are also subscribed to my mailing list and look forward to the curated content I deliver to them each week. The mailing list is growing at a startling rate! We live in a linked-in world. We connect digitally through Email, blogs, or Linked-In. Despite the power of the digital world, nothing can replace the face-to-face meeting. To this day, the best way to introduce your business is the ubiquitous business card. The challenge, then, is to make your business card stand out from the rest. Every Card that “popped” had red in the design. Most cards had white backgrounds, so a dark background stood out. A colorful image, covering at least a fourth of the surface area, popped out. URL- Consider what part of your web presence might be the best introduction to potential customers, such as a blog, a landing page with an informative video, or an active resource page. Don’t be afraid to spend a little extra on your card. Generic business cards are just that, generic. If you want yours to stand out, consider spending little more on high-quality elements, such as embossed print, textured paper, or unique edges to make your card memorable. A QR code can be an interactive lead generation tool. To take full-advantage of a QR code, point it to a special landing page on your website. For instance, consider using an about-page with a video, highlighting your business and a click-to-call button, or a form to fill out. Your logo should be prominently placed to convey your brand at a glance. In addition, your card should be consistent with the rest of your marketing. The best card in the world will fail if the customer can’t connect your card with your company. The SBA recommends using sans-serif fonts. They look modern and are easy to read. Use a font that is 12 point or larger. Also, consider how your font stands out against the card color. If they are too similar, the card will be hard to read. A current trend is fonts that look handwritten, and can give a business card a quirky or artisanal feel. In today’s world, the business card is no longer one-sided. Consider keeping the front side clean with your logo, or other image, your name, and business name. The back of the card can then be used to cinch your marketing message. Choose a local printer for your business cards. From Santa Cruz to Houston, there are many fine local print shops that can offer personalized service. If you choose a local print shop you can work with the designers and do test runs to perfect the card. Plus you can touch, feel, and smell your paper to get a feel for how your card will look to your customers. In today’s busy world, your business card has one chance to stand out. Don’t be afraid to step outside the box and create something unique. With an unforgettable business card, you can grow your business exponentially. Image courtesy of Boians Cho Joo Young at FreeDigitalPhotos.net. A good poster catches someone’s eye. A great poster gets someone to act. You can design a poster for just about any occasion, to raise awareness, provide information, or encourage action. But to accomplish your goal, whatever it may be, there are a few basic elements you must incorporate to get an effective final product. Before you set out to design your business posters, ask yourself what you want to accomplish. Are you trying to sell something? Are you trying to promote a concert? Are you trying to increase awareness for a company, brand, or product? The purpose of your poster needs to be recognized immediately for it to be effective. People will not likely stop to try to figure out what it is you’re trying to say if it’s hidden among an abstract design or hard-to-read text. Before you add any decorative effects to your poster, create the content in a big, bold, easy-to-read font and layout. The design of your poster is secondary. If your poster looks really cool but nobody understands that you’re offering a promotion on a haircut, you probably won’t get much of a response. Consider the circumstances of your poster before you design it. If it will be outside for a long period of time, you will want to choose a different material than an indoor poster that will only be hung for a day. Your poster will be dismissed as outdated and unimportant if it appears ripped or weathered. Plan for any weathering or wear you poster may endure before you order your poster. You must also consider how you will hang your poster. If it’s going to be outside, where will you hang it? On a wood post, a store window, or its own stand? Will you need staples, tape, glue, or a poster hanger? Each type of hanging mechanism is appropriate for different situations. Plan ahead to make sure your business posters will hold up in the location you’ve chosen for them. In addition to all of the above, a poster must be a real attention-getter. Most people won’t take the time to stop and read a lot of information. Your poster must get the message across in a few seconds and in a unique but appealing way. One way to do this is to offer an exciting promotion that encourages the viewer to act immediately. Since a poster is relatively quick and easy way to create, it is a great way to market big time-sensitive sales or events that will attract a lot of attention. Including a call to action helps to guide the individual’s actions and increase your return on investment. If you’ve followed all of the above regularly, chances are you’ve had great success with your promotional posters. Keep the ball rolling by regularly making and hanging posters in the same locations. This will create anticipation by those who regularly see them and secure a big response for any promotions or events you’re planning. Regularly using posters can increase brand recognition, as well. Even though not everyone who sees your poster will act on it, they will probably remember it. Then when someone asks about your company or products, they will refer to what they have learned from your poster and word-of-mouth advertising is working for you. And in today’s world, the weight that word of mouth carries is irreplaceable. Creating effective business posters is as easy as focusing on content, making a poster that will last and attract attention, and being consistent in your efforts. For your growing business, consider poster printing for your next promotional event. Facebook Ads Academy Review – Does It Really Work? Click Here For Facebook Ads Academy. Facebook Ads Academy – Official Site. Facebook Ads are widely used by different business, whether they be small or large in size. The primary goals of running ad campaigns are to reach as large a targeted audience as possible, promote your business page, generate more traffic and increase your fan base. Facebook Ads have provided a whole new platform for connecting to Facebook users of late. However, many businesses have not experienced much success creating Facebook Ads. So anyway – here’s my Facebook Ads Academy Review. Facebook Ads Academy Review – What Is it? Facebook Ads Academy is a program that teaches how to use Facebook as a marketing platform. It shows you how to create campaigns to promote your business from scratch and it includes 18 core modules of PDF files, videos and easy action steps. The 5 Different Types of Facebook Ad Campaigns. Basic and Advanced Facebook Advertising Tips and Techniques. Case studies, Resources and Tools. A Rolodex of Brian’s Best and Worst Ads for an Educational Reference Point. 4 weeks of coaching via live webinars where you can ask Brian any questions that you might have about the course. I have used Facebook Ads in the past to promote my business, sparingly. When I started with Facebook Ads, I thought that it was not effective because I found that I was just wasting my money- but it changed when I got a hold of Facebook Ads Academy by Brian Moran. Facebook Ads Academy is a complete and incredibly detailed resource that teaches you everything you need to know about building a profitable business using Facebook Ads, by funneling targeted Facebook traffic right to your offers in a very strategic manner. Brian Moran has built a system that’s like a scientific blueprint for creating, running and maintaining Facebook Ad Campaigns to effectively promote your product or your business. I really liked Facebook Ads Academy because Brian’s system encompasses everything imaginable about creating successful Facebook Ads so that Facebook newbies, as well as experienced Advertisers, can benefit from it tremendously. You can literally start from putting your business on Facebook on day one and progress to making some serious profits in a matter of weeks, just by following the course, step-by-step. I really liked how he shows you how to create the perfect ad by asking a question in the headline; getting attention with the type of image you select and making a promise in the ad text body. By using this formula, I was able to create very effective ads of my own that had a high CTR, or “Click Through Ratio”, and it was because of this high CTR that I ended up paying significantly less than what I had bid on the ad. He covers that in even more detail in his bidding strategies section, which again was a real money-saver, not to mention his slick budgeting techniques! One more excellent feature (among so many) that I feel I must point out is the way Brian Moran targets which Facebook users are going to see his ad. First of all, he shows you how to do keyword research properly inside and outside of Facebook to aid you in your pinpoint prospect targeting plan. Then he proceeds to methodically show you how to find the people who want and need your product-and who have the money to buy it! This reduces your ad costs dramatically, since the right, hungry audience ends up clicking on your ads instead of general “tire-kicking” types of prospects (who can waste your advertising budget by clicking on your ad). Part of the course make up is that Brian provides 4 weeks of Q&A coaching sessions to provide members with support by answering any questions they might have about the course subject matter. However, these training sessions have yet to start. I heard that this is on the horizon, and judging from the high quality of the rest of the program’s content, I’m sure that this will happen and that it will be beneficial. Nonetheless, I was a little disappointed to discover this. On the other hand, I created a couple of support tickets to get answers to some specific, pressing questions that I had and the support team responded within a day and a half, so I was quite content in the end. Facebook Ads Academy is a must-have software if you are trying to use Facebook as an advertising platform. You don’t have to worry if you are a beginner because Facebook Ads Academy will teach you everything you need to do from scratch. If you’re a seasoned Facebook Advertiser, you can still benefit from Facebook Ads Academy because it teaches “ninja” type tricks that will really enhance your promotion. You most likely will have never thought of using these “outside the box” type of techniques-you’re more than likely to have never even heard of them! Overall, I would highly recommend Facebook Ads Academy to all businesses who are planning to or are already using Facebook Ads to promote their business. There is simply no other program out there that equates to this well-built, highly educational business resource tool. Click Here to access the Facebook Ads Academy course. The first thing you need to keep in mind before sending out marketing emails is to seek permission. You have to make sure that the email addresses come from valid sources, like opt-ins, or landing pages. Sending unsolicited emails can tag you as a spammer and can even get you banned by some email providers. Don’t rely on the quantity of email addresses in your database: rather, focus on quality and take a more targeted approach. Thus, you should only send emails to potential customers and not just fire them off to everybody and anybody. Most of the marketing emails that we receive are just the generic “send to all” type of emails that look like spam. As often as possible, try to create emails that look like they have been written personally. Address the receivers with their first name and make it sound like you’re really talking to them. Almost all of the available email marketing solutions services today facilitate tagging. Tagging allows you to personalize your email message by addressing your contacts by their first name. Making your emails look personalized will give your contacts the impression that you are sincere and that you really care about them. When sending out email campaigns, it is also important that you solicit feedback from your contacts. Your customers are the most important component of all your campaigns. Therefore, it is vital that you hear their thoughts. Ask them if they find your emails helpful. Perhaps also ask them to fill out a quick online survey for a chance to win something. This practice will give some email marketing solutions through the input received from your prospects and customers. There are three types of formats that you can use in your quest for email marketing solutions. They can be created in either text-only, HTML or Text and HTML format. The text-only format only allows you to send emails with text: you cannot insert images or hyperlinks. On the other hand, if you use the HTML format, you can indeed insert images and hyperlinks into the message body. Try to use different formats in your email campaigns, but use the format that is necessary for what you’re trying to accomplish with the email message. In addition, remember to send a test email to yourself so you can check if the hyperlinks are working before distributing your campaign. Email Marketing is definitely a tried and tested way of building a large list of clients and prospects. Just bear in mind that your goal is not to aggressively sell products or over-promote your business in your campaigns, but to create a solid, long-lasting relationship with your contacts. Once you have established this trusting relationship, you can then embark upon converting those contacts into paying customers. For more tips on email marketing solutions, you may want to check out OnSpot Social. It’s a new marketing tool designed to encourage your patrons to join your email list while they shop in your place of business. If you want to increase Facebook likes, you need to provide your target audience with useful content. Content is a part of your Facebook profile. Good content will give your target audience a hint of what you can do. It can also encourage your visitors to press that “Like” button. Your content should always solve the problems or needs of your target audience. It will leave your audience hungry for more and will drive them back to your page again and again. Good content will also help you extend your reach into your fans’ networks, so you can increase Facebook likes further still. Another useful way to increase your Facebook likes is by engaging and interacting with your current fans. You can do this by posting content that is of their interest. Whenever your post receives likes or comments, try to comment back in real time. Always keep in mind that your fans’ activities can be seen on their timeline, which means that their friends also get to see the content you are offering. This is your chance to reach your fans’ network and gather more likes. 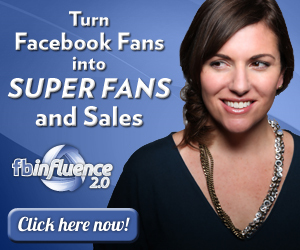 The easiest way to get more Facebook likes is through Facebook Ads. However, Facebook Ads are difficult to manage, so you need to be equipped with the right strategies to be successful. The first thing that you need to consider when running a Facebook Ad is your target audience. Target users with the same interests and demographics. Your goal is to convert Facebook users to fans so you need to identify the group of people who are most likely to be converted. When running a Facebook Ad, make sure to use different kinds of campaigns. Run them together for at least three days to determine the ads that are performing and those that are not. You can pause non-performing ads and continue running the ads that are giving you results. This trick is to make sure that you are gaining likes on all campaigns that your are running. If you want more tips on how to increase your Facebook likes, you may want to check out OnSpot Social. It’s a new app that aims to help you gather more fans while they visit your business without you having to invest a lot of time or money. Click Here for OnSpot Social. OnSpot Social – Official Site. Social Media has become a vital part of every business. It is one of the most effective ways to connect and engage with your existing clients and prospects. However, managing social media sites is never easy. Your main goal is to convert your visitors to contacts or leads. But how can you do that successfully with all the fierce competition out there? You need to step things up a bit! OnSpot Social is an application designed to allow consumers to connect with your business through social media sites like Facebook and Twitter, or even through email. So anyway – here’s my OnSpot Social Review. OnSpot Social Review – What Is it? OnSpot Social is an iPad app that allows consumers to connect with you and your business through social media sites or email at your physical location with the use of your iPad. The OnSpot Social app has an attractive on-screen display and offers incentives to catch people’s attention and increase the likelihood of them connecting with you. OnSpot Social can be placed in retail stores, restaurants and other public places. How to convert store visitors into social media connections or email contacts. How to increase your Facebook likes, Twitter followers and email contacts. How to reduce the costs and the time being committed to capturing new social media connections and email contacts. How to increase sales through promotional offers. What I like about OnSpot Social is that it comfortably (without seeming “pushy”) encourages the customers of any retail store, or other local business that has foot traffic, to become your social media connections and/or get added to your email database marketing list. With this OnSpot Social app, you can dramatically reduce the amount of time you are spending every day working on your social media campaigns to make your online presence felt. I also like that the customer does not need to download anything before they can start connecting with you on the OnSpot Social app. The connection is facilitated with the use of your own business’s iPad that you display very noticeably at the point of sale. In addition, I like the interface of the OnSpot Social application. It has a very attractive on-screen display that really helps catch the eye and interest of your customers. Furthermore, the OnSpot Social app also enables you to create different incentives for your patrons to get them to connect with you. One thing that I also like about OnSpot Social is that it makes use of the iPad to manage all your connections. You also don’t have to invest much money into advertising to promote your Facebook and Twitter pages with the sleek, effective OnSpot Social software tool. Furthermore, it’s incredibly simple to use and saves you a ton of time while it gathers Likes, Followers and email addresses on auto-pilot! What I didn’t liked about OnSpot Social is that you don’t get a volume discount for buying multiple packages if you have more than one retail location in which you want to set up an iPad with the OnSpot Social software. However, it’s very reasonably priced and just one paying customer gained from this dynamic gadget could easily pay for the OnSpot Social yearly subscription many times over. *****UPDATE***** Sorry folks, but I was wrong about there being no discount for buying multiple packages. Any client who buys multiple subscriptions can contact OnSpot Social for a promotional code to save money on multiple subscription purchases. So now that this has been confirmed, I really can’t think of anything that I do not like about this sound product. Social media is indeed a necessity for every business. Therefore, it is important that you know the right strategies to harness it’s power. Increasing your social media connections and email contacts via OnSpot Social will increase your credibility, marketability and even referrals-not to mention, your profits. OnSpot Social is an app that will definitely help you effortlessly increase your social media connections and email contacts with the use of your business iPad that can be easily set up in retails stores, restaurants and at public events-to mention just a few business types. Overall, I would highly recommend OnSpot Social to all business owners who are serious about increasing their customer base and widening their connections and reach to ultimately boost their profits dramatically.